The official soundtrack album for the new Halloween movie, composed by John Carpenter, will be released on the same day as the film, available in various formats and variant packaging from Sacred Bones Records. Carpenter collaborated on the new soundtrack with his son, Cody Carpenter, and Daniel Davies, his band mates on both of Carpenter’s recent Lost Themes albums. In addition to the CD, the album is also available on limited edition orange and black vinyl LPs, as well as limited edition version of 2,000 “art edition” copies, housed in deluxe die cut packaging with exclusive alternate artwork and poster by Chris Bilheimer, pressed on clear vinyl with “Orange Pumpkin” inset, are available by mail-order only. Sacred Bones has released a teaser video announcing the release date with just a taste of new music, which you can watch below. 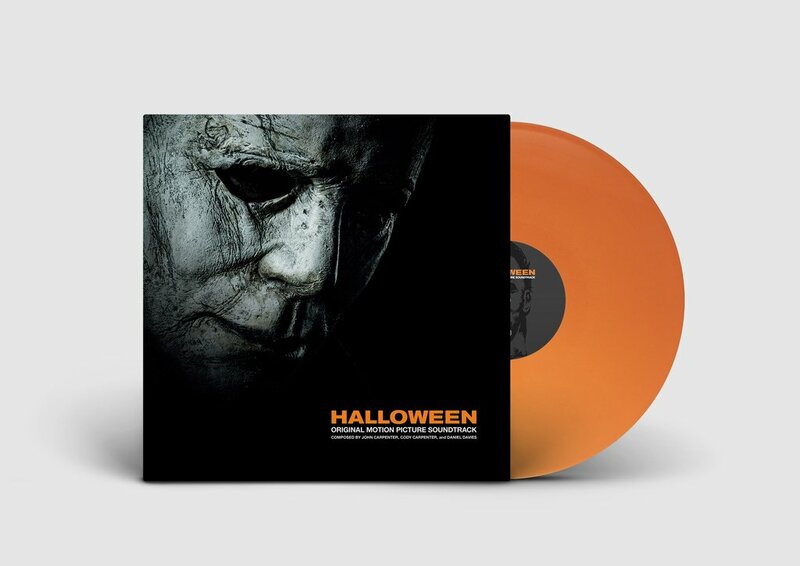 According to the official website: The new soundtrack pays homage to the classic Halloween score that Carpenter composed and recorded in 1978, when he forever changed the course of horror cinema and synthesizer music with his low-budget masterpiece. The Halloween 2018 soundtrack will be released on October 19, the same day as the new film. You can pre-order here.